When in the midst of drama, you tend to forget about the world around you. Consumed by the events that we have been dealing with has been difficult but we are starting to peer out into the world and think past the moment. So many kind people have asked about Madie and Ainsley. They are great. They have been spoiled by so many people lately. My mom called to say that they just dropped them off with the third set of adults prepared to spoil the heck out of my girls. Marsha and Lonnie are at the house right now. I am almost afraid to call and check on everybody since I am sure that I would just interrupt a perfectly good time. They spent the weekend at Grandma and Papa G.’s house. 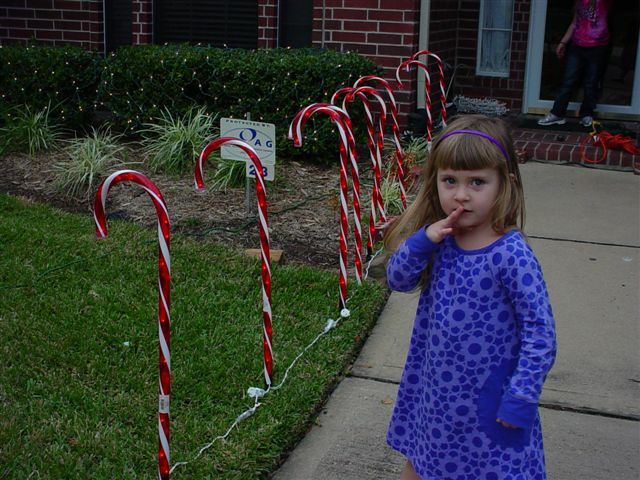 Papa pulled out the yard decorations and the girls apparently helped set up “Candyland” as the girls called it. 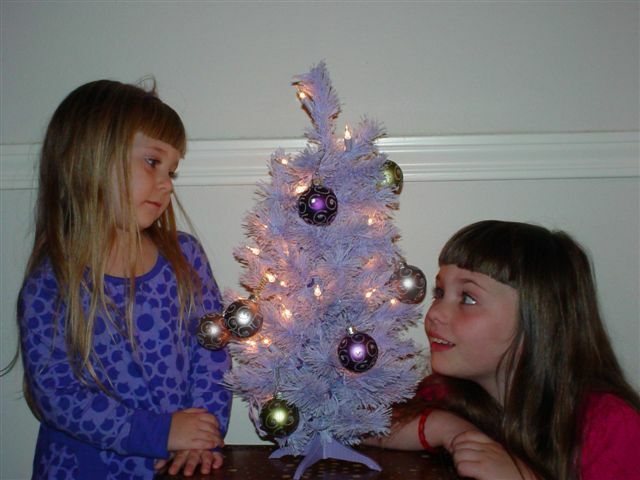 Aunt Deb and Uncle Dave bought a purple Christmas tree for the girls to decorate. Isn’t it pretty? It was a very special something for the girls. Marsha and Lonnie haven’t seen the girls in a year. Ainsley used to go over almost everyday to see Marsha at the church office and give her a big hug. Marsha hasn’t had that for a while, so I think Ainsley will enjoy the next few days giving Marsha extra cuddles. 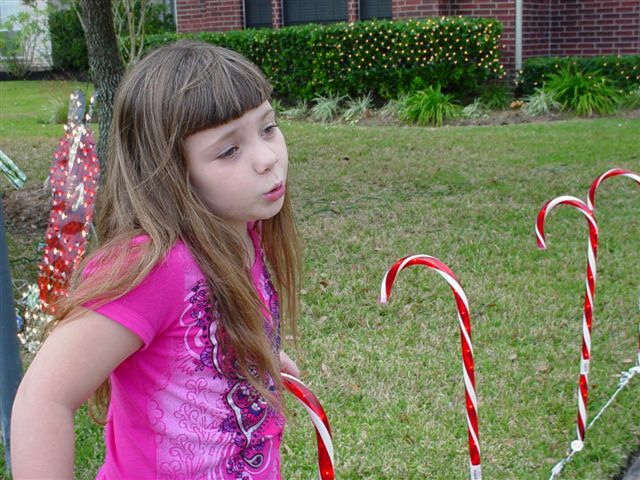 My Madie is such a worrier that she is stressing out about the family and doesn’t even realize it. I think that is certainly what made her sick on Friday night. She seems fine now. They even went to church this morning. My mom said that they were talking about BenBen at mom’s church and Madie had her hand up to contribute to the conversation. Unfortunately, the Pastor didn’t see Madie’s hand in the air or I am sure that Pastor Joe would have called on her to say something. I can’t wait for a typical Saturday morning where we are all in our bed with morning cartoons on while we cuddle with everyone. Soon enough, it will be that way again. It is great to see how well everyone is doing. Ben is an awesome little boy and your girls are just as wonderful. Just know that we love you guys and we continue to lift your family up in prayer. Our house is SO quiet without the girls. We missed them today. Rocket and Gordon have spent the day resting as they are worn out. We are so glad to see the pictures of Ben. Wish we could help more.